‘Let Them Talk’ has been an album fraught with controversy and incongruity ever since it was first announced. 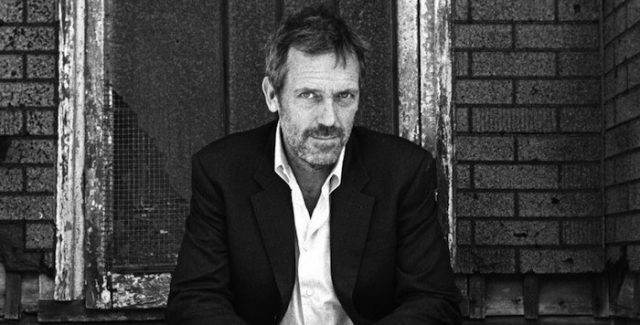 TV Star gone musician Hugh Laurie in fact led criticism of the album, saying “I was not born in Alabama in the 1890s. I’ve never eaten grits, cropped a share, or ridden a boxcar. I am a white, middle-class Englishman, openly trespassing on the music and myth of the American South.” This fact alone makes the passion on display throughout the album ever-more impressive. There is nothing left to be desired when it comes to the musicianship on show, courtesy of Jay Bellerose (Drums), David Piltch (Bass), Greg Liesz (Guitar/Mandolin), Patrick Warren (Keys), and Kevin Briet (Guitar/Tenor Sax), with Laurie topping off the vocals and keys. Opening track “St. James Infirmary” begins with an extensive piano solo clearly showing that Laurie’s got chops. His passion and lifelong love of the Blues immediately shine through on this track. Long drawn out vocal phrases draw inspiration from the likes of Willie Dixon and are technically well executed – However the listener is still left with a feeling of unease… As if something is not right here. Instrumentally, the album is authentic blues through and through; but vocally and emotionally the tone of almost every track on the album does not reach the peaks or troughs you come to expect from a real blues album. The passion is there, however -for the most part- the emotion is not, which is partly to blame on the moments where Laurie’s Faux-Southern accent starts to grate the ears, scrapping any authenticity that was previously created in the moment. However, despite everything, this remains a highly enjoyable album which stays true to the conventions of New Orleans Blues. While it has its ups-and-downs in-between, it certainly starts strong with “St. James Infirmary” and ends even stronger with title track “Let Them Talk”, which is perhaps the only song on the album that comes across as fully authentic Blues that lives up to the standards set by the Blues masters this album draws inspiration from. Laurie clearly had fun making the album, and he’s happy to ‘Let Them Talk’ while the passion on display in music speaks for itself.